Aston Villa had failed to win in their past five Sky Bet Championship matches. Aston Villa marked manager Steve Bruce's 99th game in charge with their first win in seven games, a 2-0 Championship home success over Rotherham. Tammy Abraham put Villa ahead with a 27th-minute goal on his home debut but they had to wait until the 83rd minute before Anwar El Ghazi killed the game off. 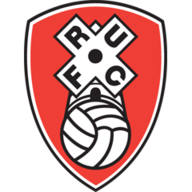 Unfortunately for a battling Rotherham side, who have given a good account of themselves upon their return to the Championship, they slipped to a 26th reverse in their last 28 away games in this division. Villa came out of the blocks in a positive fashion to put immediate pressure on the Millers but their finishing power was lacking. Twice in quick succession goalkeeper Marek Rodak was the right place at the right time to keep out efforts from Conor Hourihane and Jonathan Kodjia. On the back of their 1-0 home win over Derby, the Millers were surprisingly quick to counter-attack and were far from over-awed by their opposition, exemplified when Richie Towell played a neat one-two and watched his low shot whistle narrowly wide. 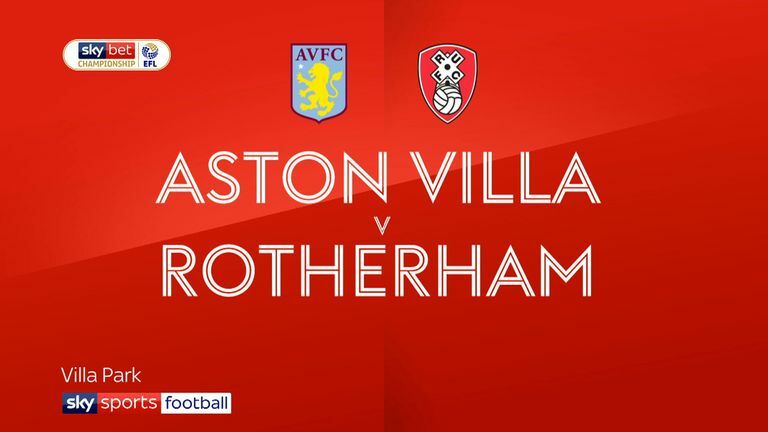 Despite their limited resources Rotherham were highly competitive and gallantly defied Villa as they were put under increasing pressure with Jack Grealish, operating wide on the left, creating most of the trouble. Villa, however, still conspired to misfire in front of goal with Abraham having a quiet start to his home debut. He had a glorious opportunity to open his account but failed to make connection in front of an open goal in the 20th minute from a low cross by Kodjia. But in the 27th minute the youngster set Villa Park alight. Grealish's astute pass put Kodjia in possession and he quickly transferred the ball to the unmarked Abraham to notch a simple tap-in goal. But Villa surprisingly failed to take full advantage in the remaining spell of the first half and gave Rotherham some welcome respite. It was the kind of encouragement they required to stay in the game and they responded with Kyle Vassell testing Orjan Nyland. As Villa strived to find some finishing power they had an escape when Jon Taylor failed to convert a Zak Vyner cross. But the game was put out of Rotherham's reach when El Ghazi converted a high right-wing cross from Ahmed Elmohamady to settle any late nerves. Steve Bruce: "I am delighted for them. They will be good players for Villa as they are the type who will get you off your seats. I thought the first goal was terrific. 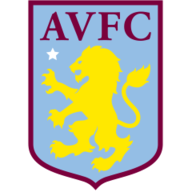 It was a great pass from Jack Grealish, a great pass from Jonathan Kodjia and a great finish by young Tammy. "It was nice to win and we fully deserved to win. I was pleased for the lads after all the nonsense that has been written recently. The way to respond was to win and display the way we played on the night. My record speaks for itself. Given time with a new team I have the nucleus of a very decent side. They need adapt to play and settle down here at Villa Park. When they do we will be there or thereabouts." Paul Warne: "I am really proud of the way team are playing. They were shattered at the end and criticised themselves afterwards and thought they deserved a draw. "The second goal took off all the pressure but the lads have to take some confidence from this game. They have earned the right to play at these great stadiums and I didn't think they let themselves down against Villa."